RK is a 17 yo rapper from the City of Meaux (Parisian suburb), he has recently shaken the French rap game with his commercially successful album « Insolent », out the 21st September. Known first with his apparition on the web show « rentre dans le cercle », RK is way more than just an amazing street rapper, he also focuses on producing a very musical sounding almost groovy. Like mostly rappers, he tackles gettho issues, but RK also talks about his personal feelings, in his last track « bae » he ’s torn in the eternal dilemma between career and love life. RK’s album gathers all the key ingredients of the actual rap to appeal to a vast majority of young listeners. 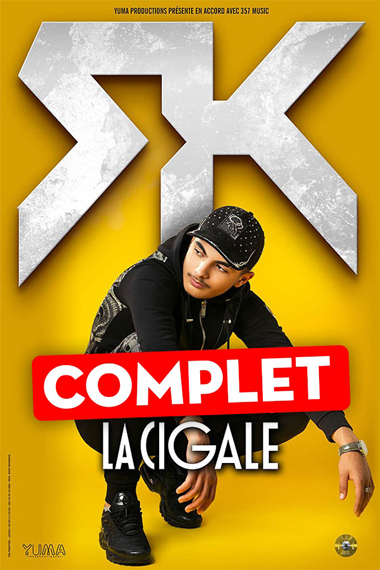 His future show on La Cigale stage the April 22nd, 2019, is announced to be definitely promising.